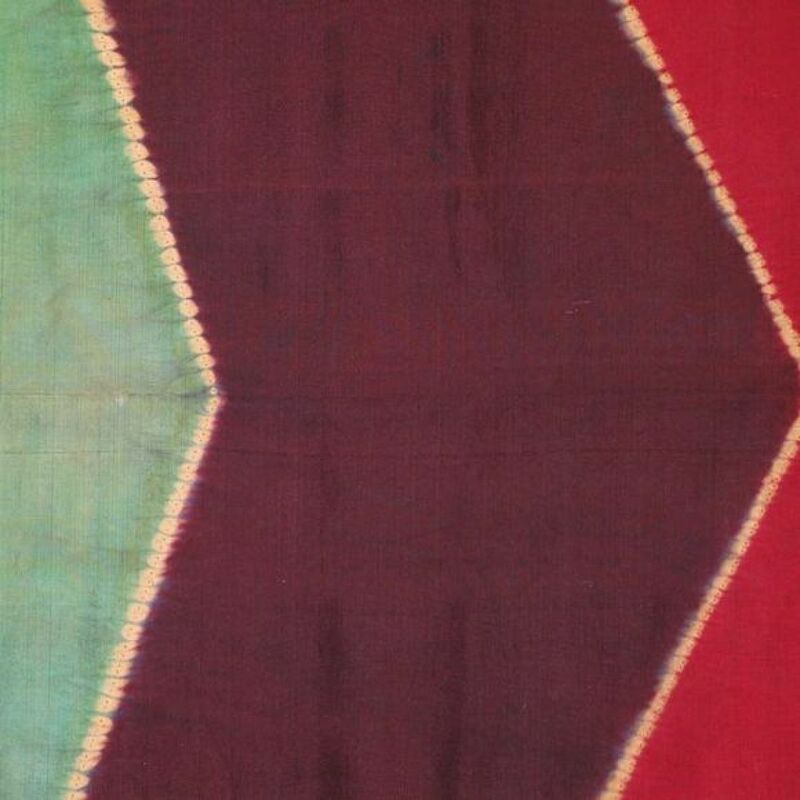 A late 19th cen­tu­ry lawon, a cer­e­mo­ni­al pre­sen­ta­tion scarf worn by a mar­ried woman. 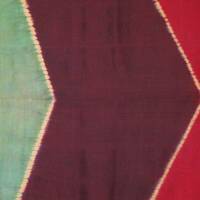 This mul­ti-col­ored silk cloth was resist dyed in a process called plan­gi or pelan­gi, lit­er­al­ly mean­ing, ​“rain­bow”. 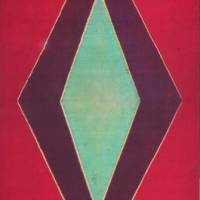 From Suma­tra, Indone­sia. Mounted.